I think one of the hardest things for me becoming a mom was losing chunks of time, pre-baby days I could get stuff done, spend hours drawing or reading or painting but then once the baby came along it was nothing short of a miracle if I had time to pee alone! So how can we reclaim our own time? 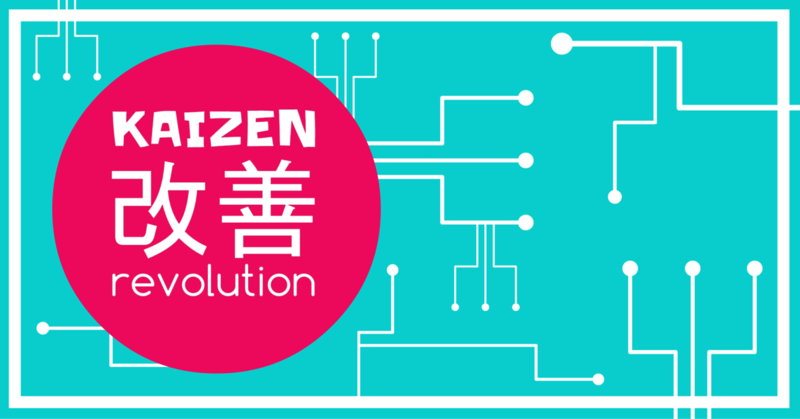 If you have been hanging out with me for a while, you’d know that I am a HUGE fan of kaizen – taking baby steps every day to improve whatever you are applying it to. Think of it as micro steps of improvement. Or mini bursts of time to get something done. 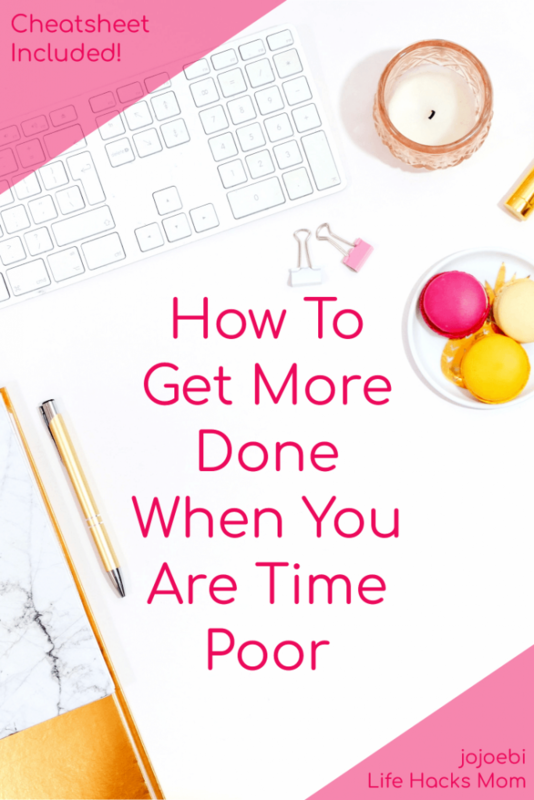 Yes, it’s great to block off 2 hours to write blog posts but the reality is that unless you have a child that is a champion napper you are never going to get 2 hours of solid blogging (or whatever) time. This is where the kaizen baby steps come in and it’s such an easy concept. For example one of my Wonder Mom moms is studying a language and was trying to block an hour once a week to do it but she found that by the time she had got everything else done and finally sat down at the end of the night, she was too tired to do an hours study. 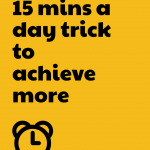 My suggestion was to block off 15 minutes a day instead. 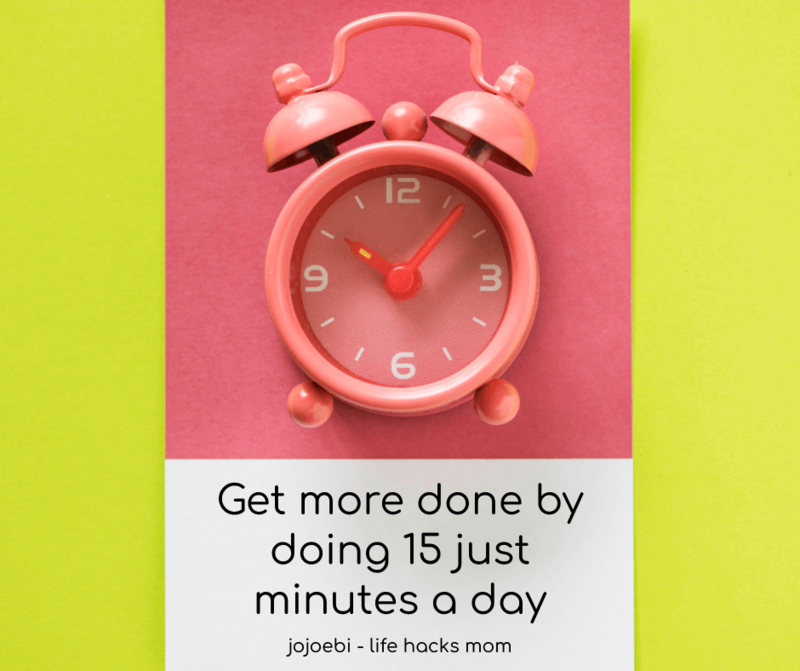 15 minutes is doable and even if you are really tired, doing 15 minutes work doesn’t sound so bad. Now the thing is, this is a double whammy of goodness because…. Once you get going it’s easy to keep going. Every sports coach I have met has said that getting your trainers on and out the door is the hardest part of any workout, it is the same with everything else. Get over that first resistance block and you are plain sailing. When you break a job down and do a little every day it is much easier for it to become a habit and once it becomes a habit, that resistance dissolves. My son uses Duolingo to study Spanish and once he got into the habit of doing it first thing, as soon as he got up, it has totally stuck and he recently smashed through his 150 day streak. If you are struggling to get stuff done, try to make it a daily habit, look at your schedule, when is the best time of day to schedule it in? Then look at a habit you already have that you can attach it too, this method is known as habit stacking as James Clear talks about in his book Atomic Habits. Instead of using time or place to trigger the new habit, attach it to something that you are already doing on a daily basis. These habits are already formed and you do most of them on autopilot so it is much easier to attach a new habit to an old one. Then as you repeat the process the brain builds stronger and faster connections to the relevant neurons, making it easy to repeat. Imagine your original goal was to do an hour of your desired activity once a week. 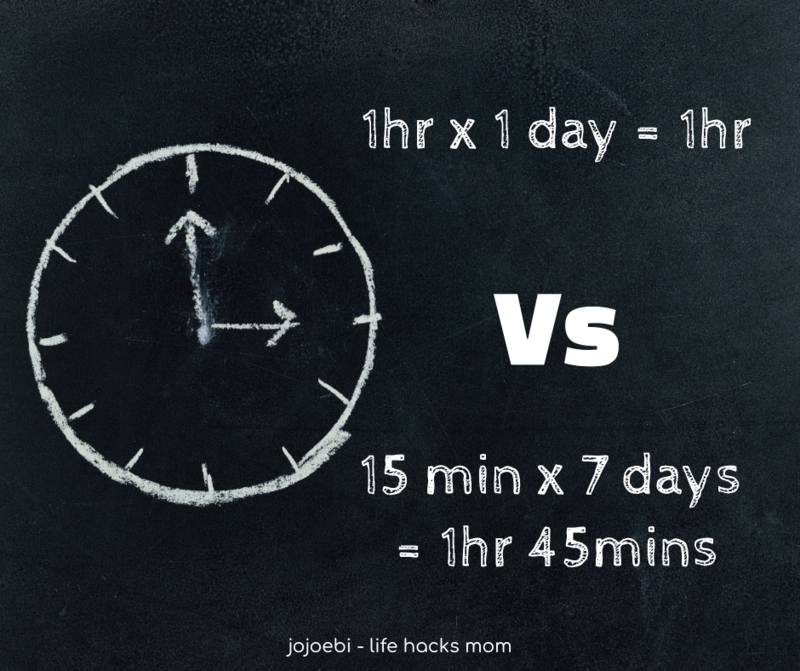 If you are doing 15 minutes once a day that means you are actually getting an hour and 45 minutes in! And those days when you are on a roll and do extra… it is easy to tip the 2 hours. But what if you miss a day? 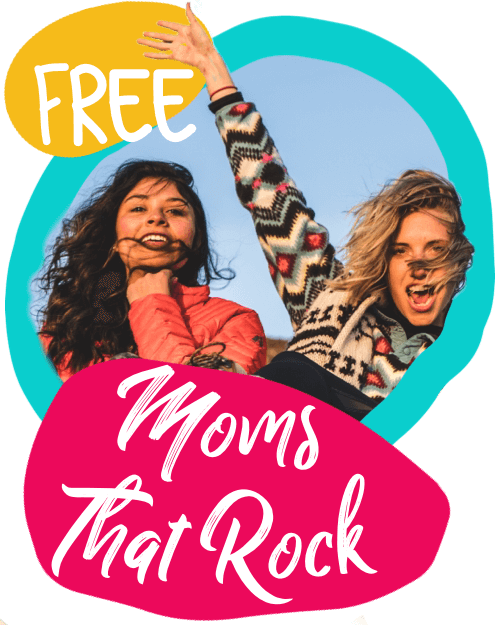 Life happens and it seems to happen a lot more to moms… but I digress… even if you do miss a day or you only manage 10 minutes rather than 15 minutes a day, you are still getting more in than when you miss a who hour that you had scheduled in for once a week. And, yes it gets even better… if for some reason you miss you 1-hour session 3 times in a row, that’s nearly a month! How easy is it to throw in the towel? Even if you don’t it is so much more difficult to get back in the saddle after such a long time span. But, if you miss a day or even 3 in a daily habit it’s still not such a big deal and easy to get back to it. 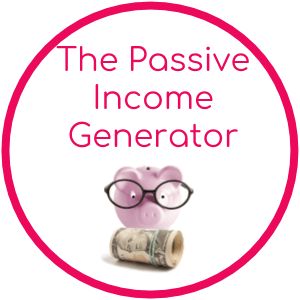 If you use the break the chain method I talk about in this post it will really help. 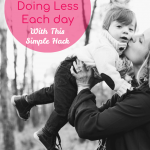 Over to you… what do you want to get into the habit of doing so that you can get stuff done? It can be anything but let’s focus on your needs, what do you feel is missing from your life right now?